The world has transgressed into the domain of software technology and the digital world has been ruling the market dynamics now. This development has made the world into a smaller place and thus the flow of information across the world is done only in a couple of minutes. This information is sent across the globe in digital media by means of safe and secured files which are often secured with passwords in order to prevent data theft forgery and also for securing the confidentiality and importance of the information. These kinds of files and information transfer generally takes place in the Business and corporate world where major transactions are done with the files sent across the domain of internet and thereby such tools and mediums of password protection are required to limit the leak of any sensitive information in the market and thereby protect the profit interests of the company. 7Zip– The major advantage of this software is that it has a very high compression ratio. PeaZip– This is an open source free utility software which can be used widely. BandiZip– This is the most popular software for home and office applications and is thus used widely. WinZip– This is the widely used software as it starts compressing the files from the very beginning and thus saves lot of time and effort. p7Zip-This is the advanced version of 7Zip and is thus more efficient and compatible to be used. WinRAR– This is the widely used commercial compressing tool to be used for a high amount of data compression in business activities. The Unarchiver– This is a small software which can be used to unarchive the numerous number of archived files. File Roller– It is a form of an archive manager and is generally used to modify or view or extract or create archives. IZArc– It is the best freeware utility software which supports a lot of archived files and folders. HaoZip– It is also an open source software which again used for extracting files and archived folders. B1 Free Archiver-It is also a multi-platform archiver and it works on majorly Windows and Mac. Better Zip– It protects the data efficiently and also archives the files and extracts only the ones which we need at the moment. First, download the WinRAR software from here. Now install the software in your computer. After that, choose the files that you want to compress and add them to the Add to Archive list of this software. Then the Archive Name and Parameters window will pop up. Now in the General Section, the name of the files chosen will be shown. Make sure that the Archive mode has been set. Now choose the format RAR and wait till the file conversion is over. Now seal the compressed file with a WinRAR password. Thus due to the importance of this software, it is important to protect the information in it with a password but due to human error, one may tend to forget the password of this compressed file. Thus it becomes necessary to remove WinRAR password to retrieve such files. 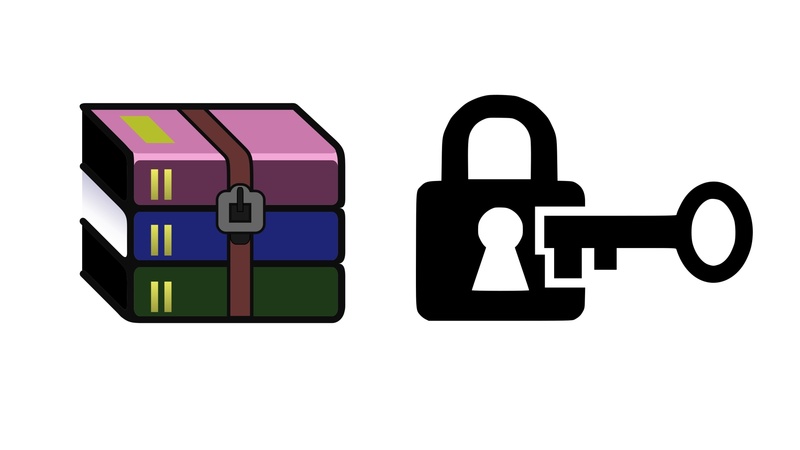 A WinRAR password is just a mode to support and secure the confidentiality of a compressed file so that no unauthorized person can ever get the access of the same and thereby cause any kinds of problems by leaking of such information. The strength of the password depends on the number of words or characters you want to put and share this with the concerned person to whom you wanted to give the access to the files. This not only protects the data in the files but also instills confidence in the client showing the bonafide intent of the businessman to do an honest trade and business practice in the market. But it is also natural to forget such passwords and thus it becomes necessary to attach such files with the passwords and then forward it accordingly to the client. How to remove the passwords? By using the method of Remove WinRAR password for non-password protection. By using the method of Remove WinRAR password for solving password forgotten issue. How To Remove Password from RAR? This is generally used when there is a possibility of removal of the password and a new file can be created in the Archive for the same purpose without a password. First, open the WinRAR software utility and then you have to Right Click on the password protected file on which you want to remove the password. Then from the list of options, select Extract Files. Now click on the window on which the RAR’s file passwords are appearing and then click on the OK option. Now when the next window opens, click OK on that too. This will eventually extract the contents of the file into the same folder as the RAR file in. Now you to right click on the new folder and then press Add to Archive. This tells the software that now you want to convert these new files into a RAR file. Now click on the OK option in the new window that has appeared. Now, these files will be added into a RAR file. Now, these added files are included in the RAR list present in the software and thereby can be accessed without any password protection. Thus you have successfully removed the password from a RAR file. It is a helpful tool for users to recover and retrieve forgotten passwords. It has 3 efficient options in order to solve the problem of password recovery. It can also accentuate the speed of the password recovery search. It uses the advanced search algorithm for such purposes. It has multiple core CPUs option. It also has an acceleration mechanism of NVIDIA-GPU. First, you have to download and install the RAR password Unlocker software from here. Now you to have to Run the program and then click on the option Open. This will eventually open the locked RAR file. Now you to select the Attack type. Now you have to click on Start in order to remove the RAR password. It is simply a hit and trial method where the software simply tries to guess the password unless the right password is found with every single character combination. Then select on Brute-Force attack. It is a more practical method. In this case, you specify the name, character or length of the forgotten password. If you remember some characters in the password then it can be easily done. Then select on Brute-Force attack with Mask. Click on the Brute FOrce in the given taskbar. Type the remembered characters or names etc. Now click on Start in order to remove the RAR password. In removes the password as per the default dictionary of the software. One can also add their own dictionary in order to shorten the search limit. This is the fastest mode of recovery. First, click Recovery and then click on Dictionary Attack. Now make all the settings for this mode. Now click on the Start button in order to remove the password. Thus these are the various means in order to remove WinRAR password and thereby help in recovery and storage of lost files and folders.